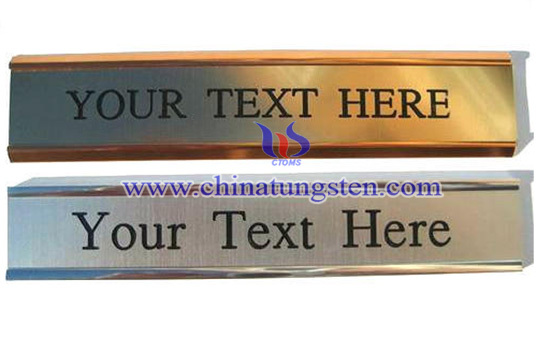 Because it will not produce a spark, engraved tungsten nameplate is often specified for industrial identification in both interior and exterior environments. Durable tungsten is often specified for valve tags, and tool or equipment checks, helping you and your facility comply with federal regulations for proper equipment labeling. Aside from the technical specifications, tungsten is an attractive metal look for indoor and outdoor applications. 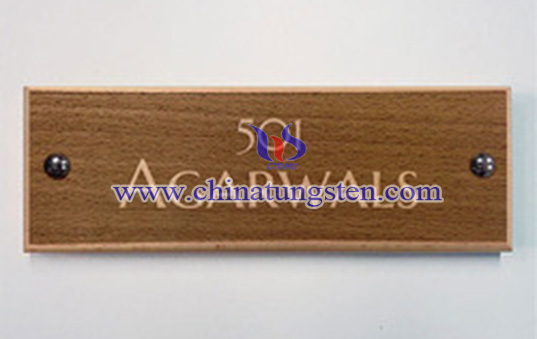 Tungsten nameplate can be engraved with Arabic numerals, English letters, simple patterns and other unique drawings on its surface to meet all kinds of needs. Any designs, drawings, pictures and ideas are welcomed to be discussed. 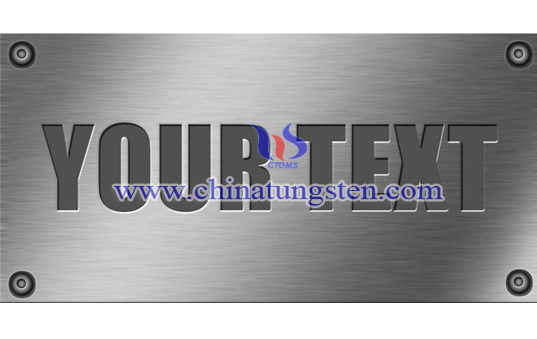 If you have any interest in engraved tungsten nameplate, please feel free to contact us by email: sales@chinatungsten.com sales@xiamentungsten.com or by telephone:0086 592 5129696.